One was born in 1948 and the other in 1987, one is French, the other is British, one is a an acclaimed actor recognized for his class and talent and the other is a prince. 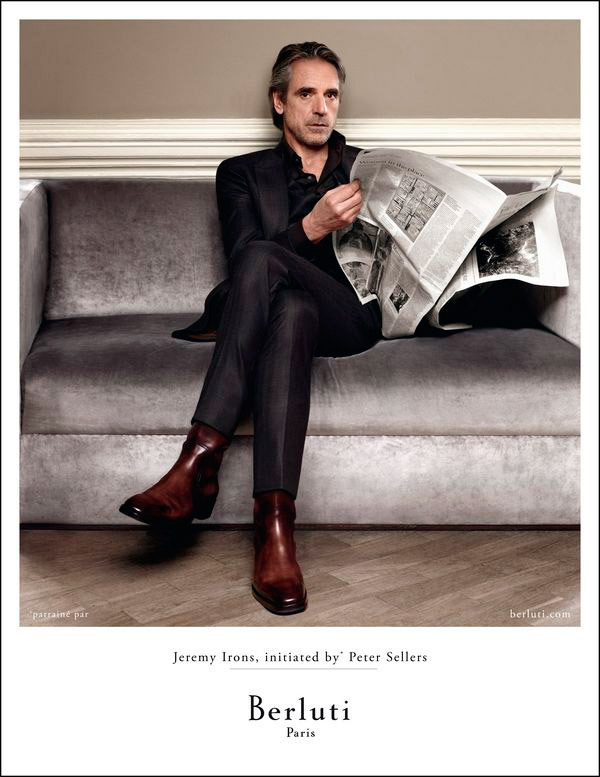 Today the house of Berluti under the reign of Antoine Arnault decided to make them the image of the iconic shoe brand as it expands into pret-a-porter through the camera of Jean Baptiste Mondino. Another communication star to Arnault who created in Vuitton the institutional campaigns with Sean Connery, Catherine Deneuve, Bono and Mohamed Ali. I love Jeremy Irons I think he is the sexiest 64 year old in the planet, don’t you agree?? As for Casiraghi a nice way to appeal the younger crowd that the brand wants to conquer too. Good combination. If you want a video preview click here.